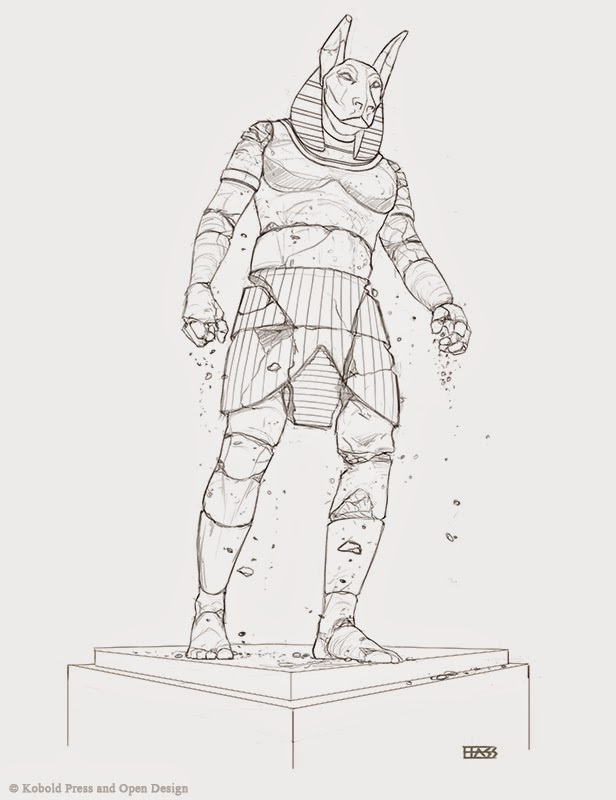 Bestiary, illustration sketch for Kobold Press. Rough value and color study complete. 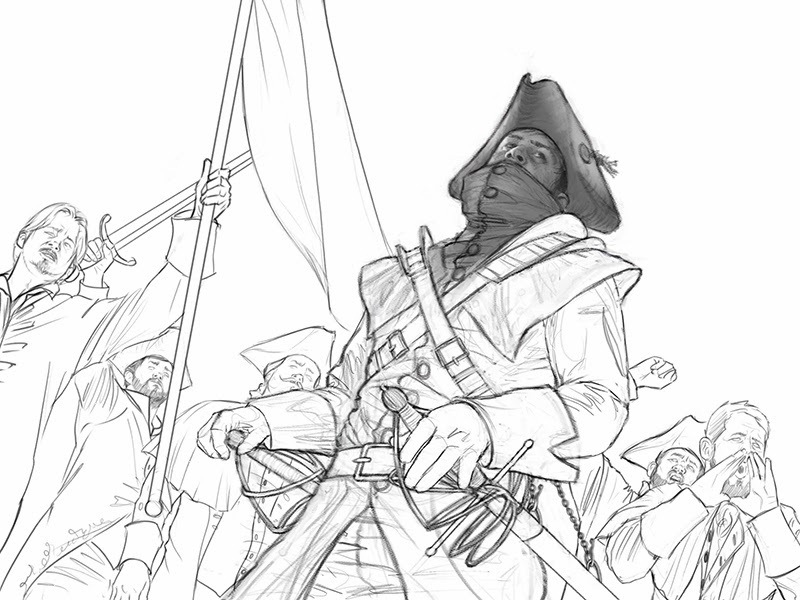 Current state of a drawing for another Wheel of Time piece. 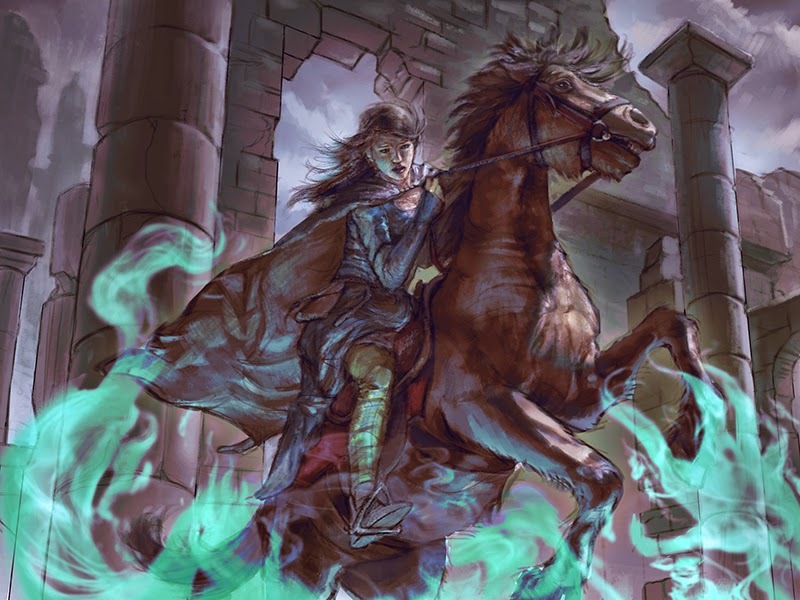 This is the character Egwene al'Vere riding Bela while trying to escape the ruins of Shadar Logoth and the mist creature Mashadar. Alright I think it's done for the most part. I may tinker with it some more after it sits for a bit. Rough value and color study. 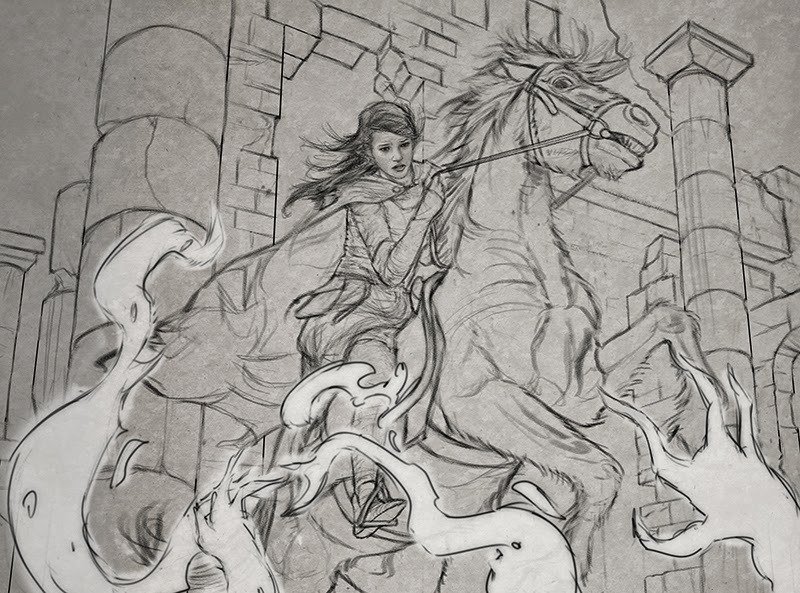 Current state of a drawing for an illustration inspired by the first Wheel of Time book, The Eye of the World. 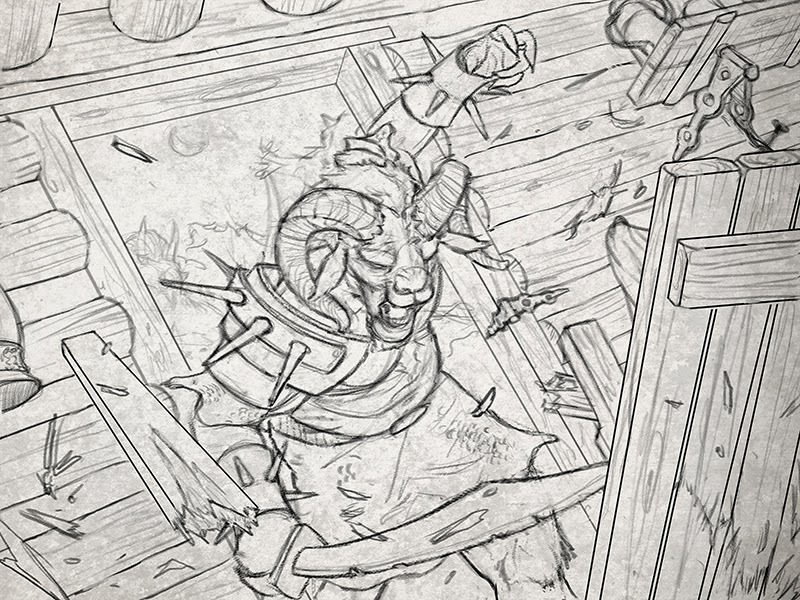 A goat-headed trolloc kicking and charging through a cottage door. In the story, this is the first trolloc the character Rand encounters.